Hello there! How was your weekend? 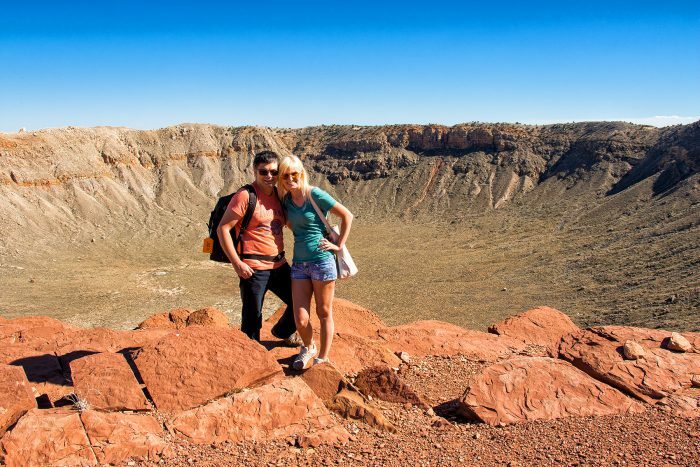 Hubby and I had a very busy and exciting one – we went to see a Meteor Crater! I’m sharing photos below if you’d like to take a look and enjoy reading a bit about traveling. See full card on Hero Arts blog here. This week we drove a bit up North to see the Meteor Crater. What a sight! We took a guided tour and the minute we started walking and saw the crater the view took our breath away. So magnificent and so beautiful! If you are in the area and have never been there – do go, it is absolutely worth it. We also saw the Apollo Test Capsule there – we recently watched a documentary From the Earth to the Moon so seeing this capsule in real life for very momentous for us. 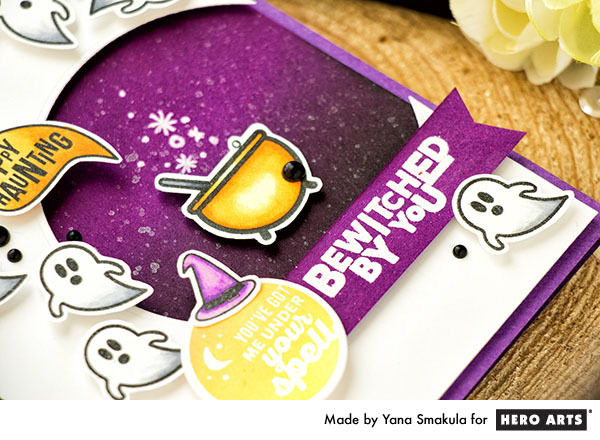 Spooktacular in every way, Yana! So sweet you created this for your husband; he’ll love it, as do I. Your photos are simply spectacular…such incredible scenery! And the two of you: gorgeous and handsome! You are a couple most definitely in love! Hi Yana. 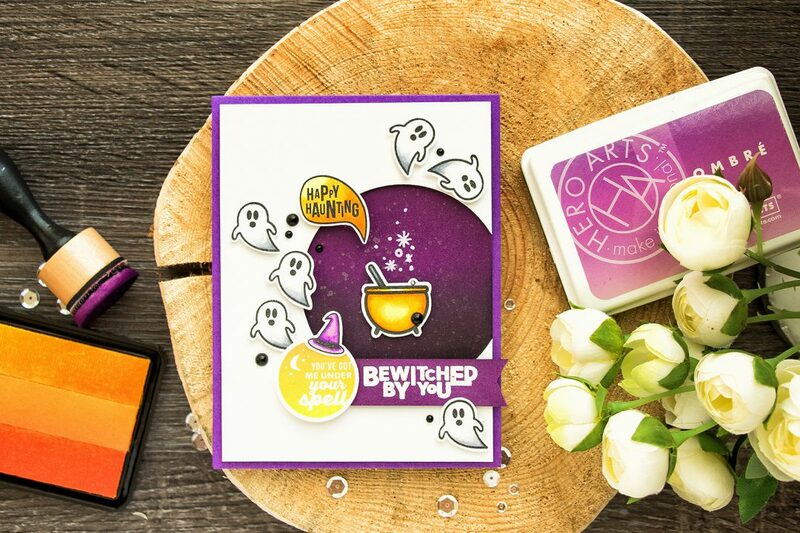 Great Halloween card, it’s purplicious! Thanks for sharing your pics, really neat. The meteor crater is an incredible sight, I can’t believe the size of it. Saw this card over at HA, love it so much!! And it was so interesting to read about your trip, looks amazing! Cute card Yana! There a lots of fun things to see and do in AZ. Wait till you see the Grand Canyon! thank you, Renee! We’ve actually been to Grand Canyon a few years ago 🙂 Loved it! Cute card! That meteor crater is awesome! I live in Arizona and have not yet seen the crater. What part of AZ do you live? Such a sweet card Yana, and that crater does look cool! Looks like an interesting place to visit!